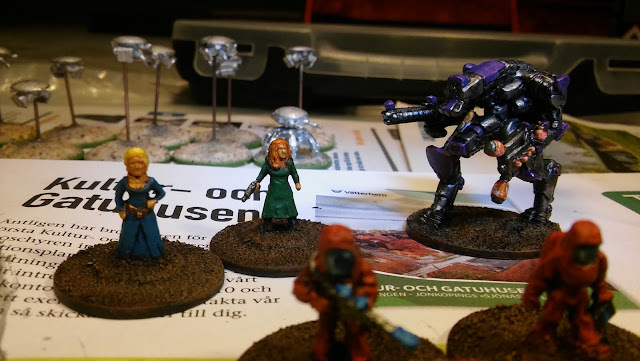 So, I've been painting some models. 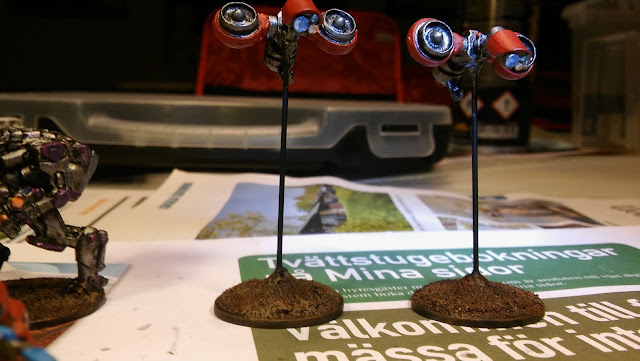 I almost got like 30-40 done, they only need some grass on the base. I also ordered some more miniatures today... some units that can act as Tier 3+ infantry (both Lhurgg and human) and a Tier 3+ tank. 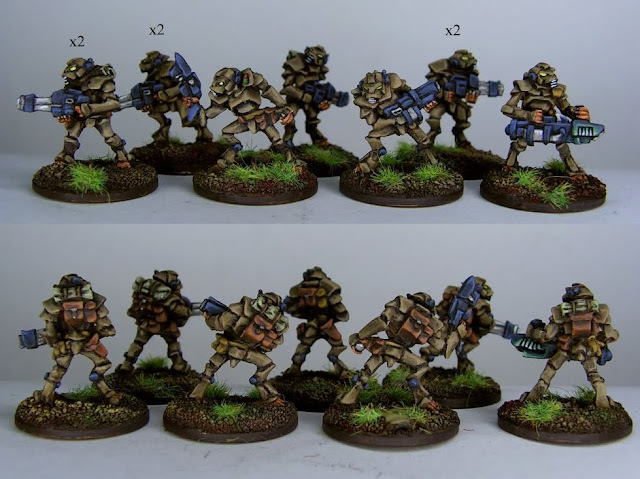 These models (below) from http://khurasanminiatures.tripod.com/ actually belongs to some lion-like race, but as they wear armour they can double as undercover Lhurgg veteran/elite infantry. Rawr! 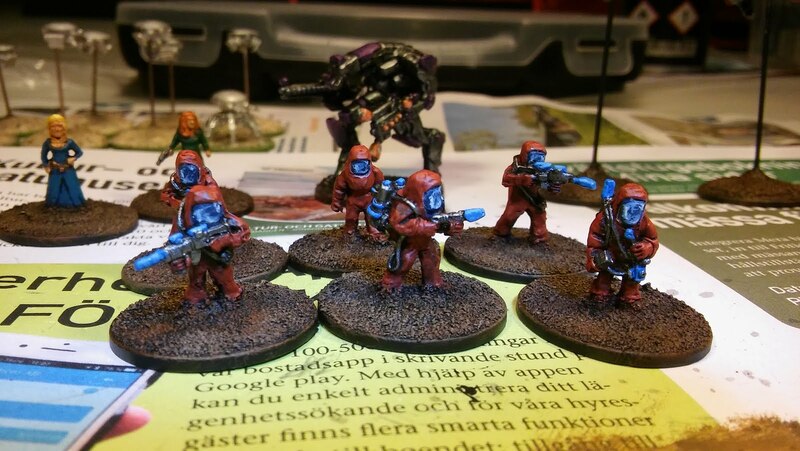 Picture of the Khurasan miniatures that will act as Lhurggs. I will paint mine purple, the Lhurgg colour. Engineers! They got hazmat suits that I try to cover as some kind of armour. The blue details are to separate them from ordinary squads from distance. Elsa and Anna... characters for some kind of future scenario. Never highlighted dresses and breasts before, hmm. Also, to the right, the Lhurgg mecha, done and done! In the background, some new drones! Gurevich and Mikoyan, my Tier 1 drone patrol vehicles. Different basing should make them easy to identify. Maybe me and Joel will play this week. At least we are preparing to demo the game for the community, yupp yupp.